Hungry or thirsty? 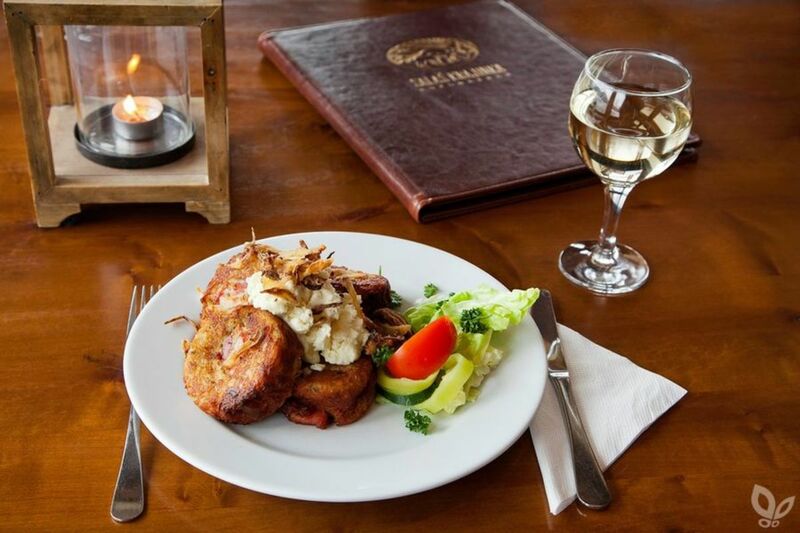 In Slovakia you will find quality gastronomy at affordable prices. Regional dishes are as colourful as the Slovak countryside itself. The traditional cuisine of mountain areas mainly favours those who love cheese and milk products. In low lying areas, you can taste more spicy food, cabbage specialities, goose, lokše (local fried flatbread) or trdelník (sweet pastry cylinders). Wash it down with good wine from the lowlands and the southern slopes of the Carpathians or from Tokay. 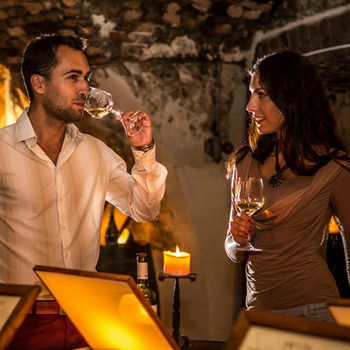 The wine routes will help you discover the best wine cellars. You can also enjoy traditional dishes and gastronomic delicacies in grape harvesting, markets, feasts celebrating apples, cabbage or fish specialities. 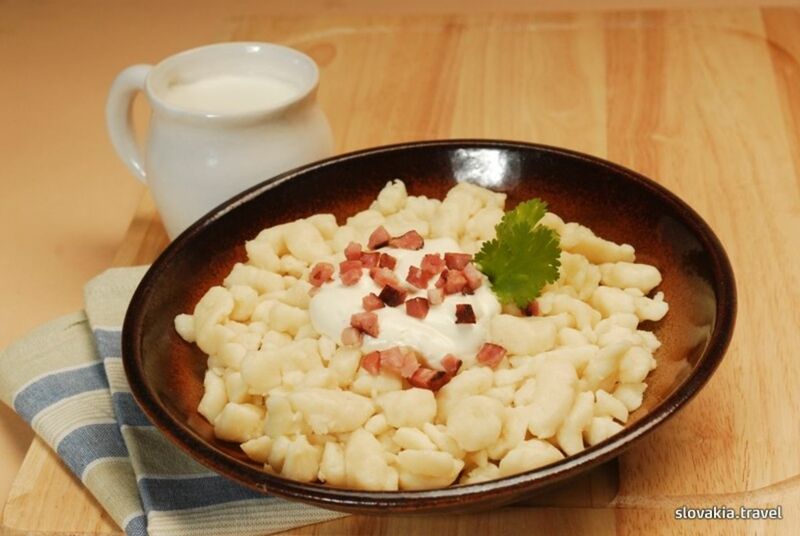 The traditional basic components of the Slovak diet have always been and still are milk, potatoes and cabbage. Tasty meals typical for Slovak cousine such as cabbage dumplings can be prepared by combining these ingredients. The Slovak national meal is bryndzové halušky, which means for the Slovaks the same as sushi for the Japanese or pizza for the Italians. The milk is drunk fresh or sour and all milk products such as whey, cottage cheese, bryndza (salted sheep curd) and sheep cheese are very popular. Smoked or fresh sheep cheese products are sold in different forms and shapes and Slovaks love them. They are sold at all food shops all over Slovakia. Their taste is unbeatable when fresh and some say that the best of best can one buy in the sub Tatra region of Liptov. The most typical albeit not preferred by all, is the Slovak national meal bryndzové halušky with fried bacon. Bryndzové halušky means for the Slovaks the same as sushi for the Japanese or pizza for the Italians. This Slovak national meal consists of dumplings made of potato dough mixed with a special kind of soft and salty sheep curd. Fried bacon chopped in tiny pieces is added to the ready meal, which makes it especially tasty. The traditional beverage to accompany the meal is sour milk or whey. 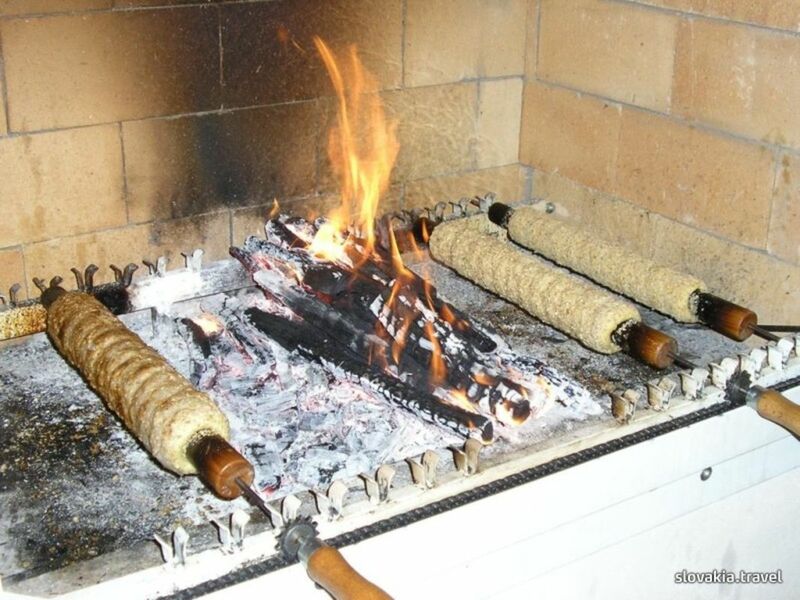 One can especially enjoy bryndzové halušky in a typical Slovak “koliba” restaurant or “salaš”. And what is more, annual competition in cooking and eating of this traditional meal is organised in the little mountain village of Turecká at the foothills of the Veľká Fatra Mts. where fans of “halušky” from all over the world meet. It is the World Championship. Among the traditional domestic dishes are various meals prepared of potatoes. 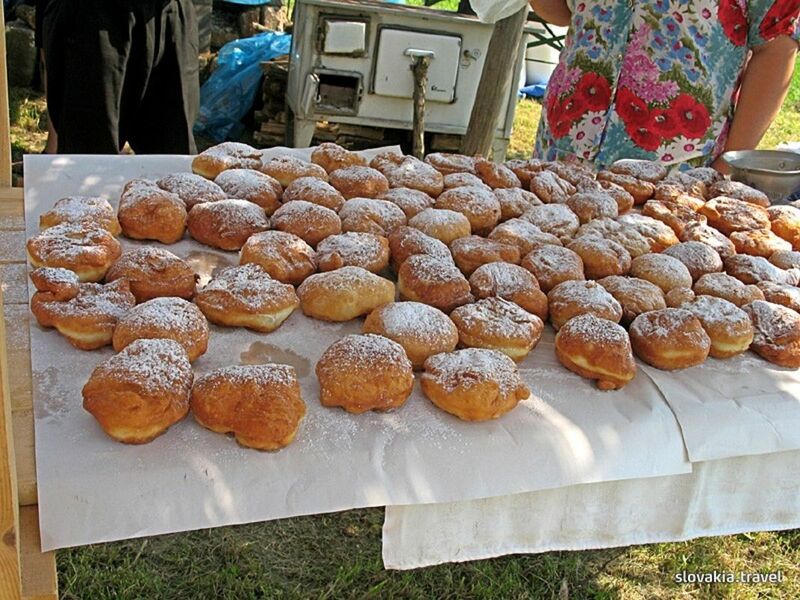 They are mostly in form of dough – cooked or fried (zemiakové placky, lokše). Varied classes of sheep cheese and cabbage are also popular materials used for cooking in Slovakia. 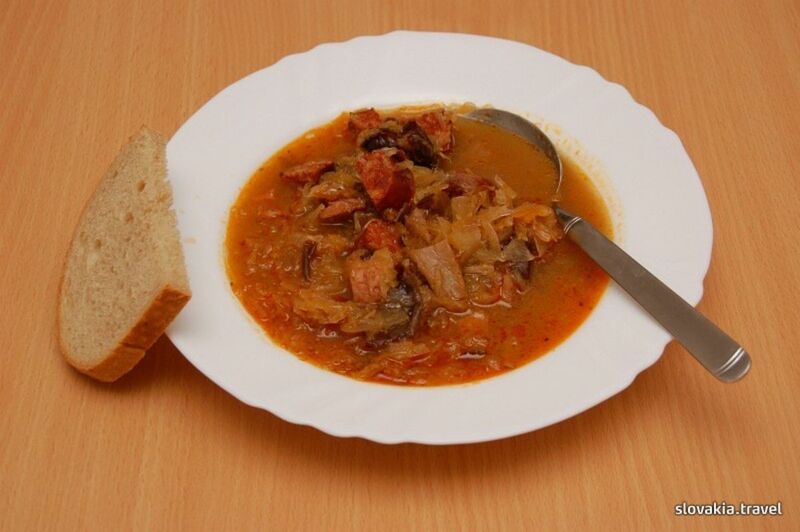 A good Slovak dinner consists of a soup – kapustnica (made of cabbage), garlic (in some places it is served in a bread loaf), a bean soup with a frankfurter or the beef or chicken consommé. 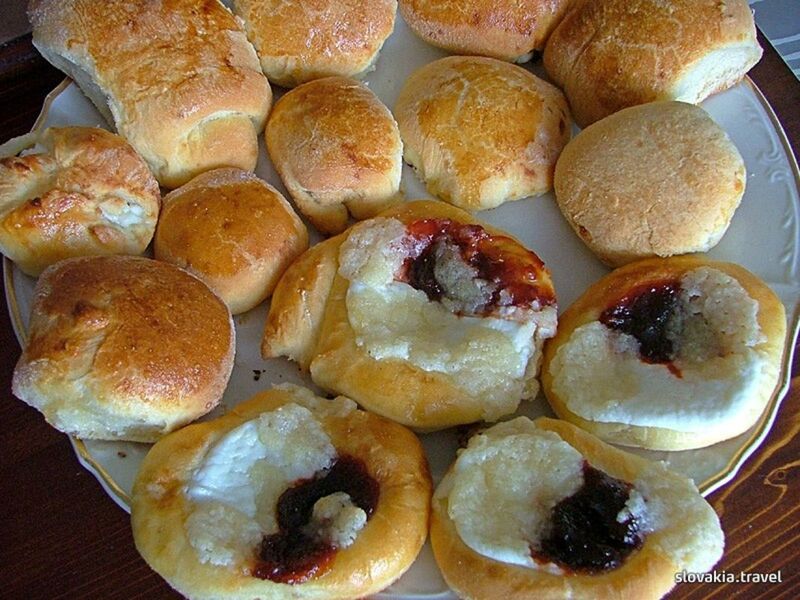 Traditional desserts are pastries of risen dough filled with marmalade, curd, nuts or poppy seeds. 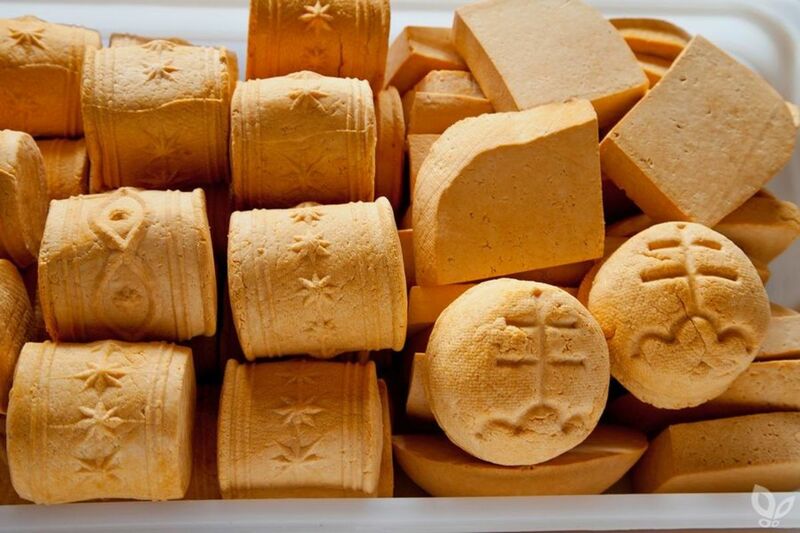 Štedrák is the typical Christmas pastry and in Shrovetide the sweet aroma of šišky with marmalade hovers around. 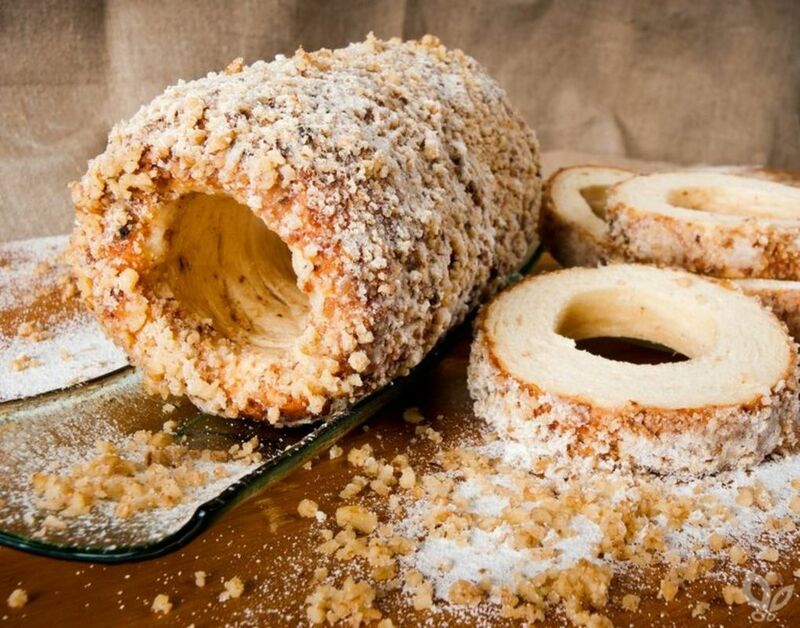 From the Slovak region of Záhorie comes an interesting pastry called Skalický trdelník in shape of a roll with a hole inside. Wine or beer is usually accompanied by salted cookies (kapustník, pagáč). You can learn to make Slovak gastronomic specialities in Bratislava with experienced chefs. You just need to register around one week in advance to agree on a special course. During the lesson, which lasts around three hours, you can try out for yourself how to make traditional goodies such as bacon fat spread, creamy garlic soup served in a bun, brochettes, bryndzové halušky or an apple and nut strudel for dessert. 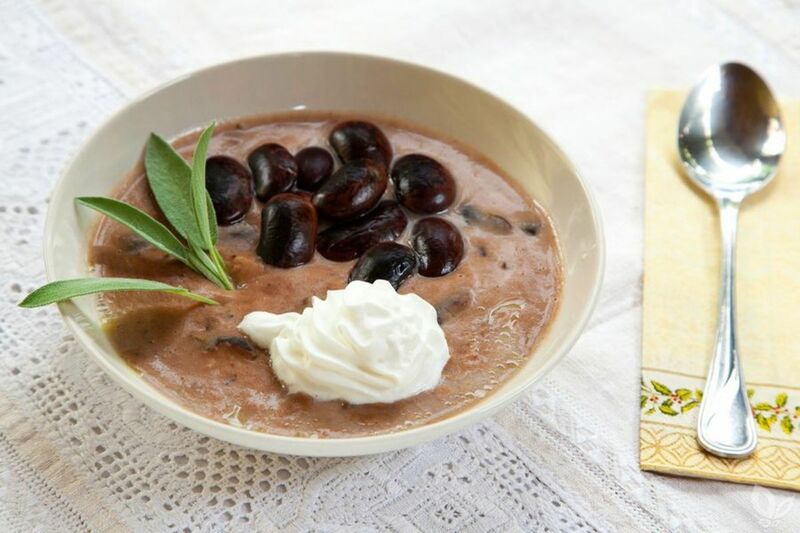 Foreigners interested in discovering the secrets of Slovak cuisine can also take part in the course; the chefs can address you in English, German or Hungary. 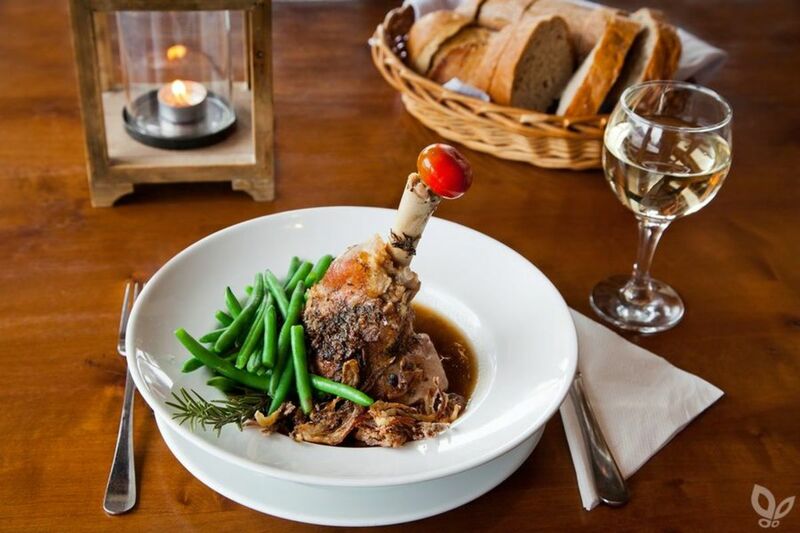 Goose feasts called here hody is a famous gastronomic event organized above all in the village Slovenský Grob situated not far away from the Capital. The village pig slaughter is also interesting for those who never experienced it all the more for tasty products of such event. Nevertheless slaughter specialities are parts of menus of many restaurants. 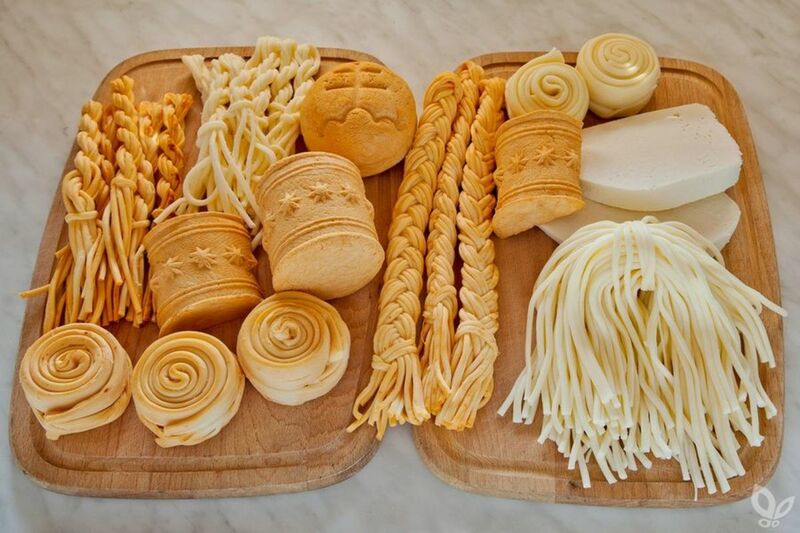 The Slovak cuisine is now gradually acquiring the European character with high consumption of meat and foreign diets are also represented in menus (French, Hungarian, Italian, and Chinese, for example). Domestic soft drinks such as Vinea and Kofola, and a wide choice of fine quality mineral waters now compete with the world trademarks of soft drinks. Specific Slovak distillate is borovička (for instance Spišská borovička), the local variety of gin, distilled of the fruit of Juniperus comunis. Popular distillate is the plum brandy (above all Bošácka slivovica) and hriatô (a mixture of fried bacon, spirit and honey). High-mountain hotels and cottages serve distillate called Horec- a stimulating drink after strenuous hiking. The Demänovka liqueur, which contains an extract of medicinal herbs, is a good choice, for instance. Apart from distillates, beer is very popular. Slovak beers are of good quality and the brands like Zlatý bažant, Smädný mních or Topvar are comparable to the excellent Czech beers. You can try the authentic taste of various brands of unfiltered beers in minibreweries. A cold beer in the summer, good plum brandy, pear brandy or other quality brandy to warm up in the winter, but also delicious mead to enjoy pleasant moments throughout the whole year – is something that would be welcomed by many. Have you ever seen with your own eyes how the given potion is made? You can see the preparation, the processing of raw material and its transformation into the liquid treasure at several facilities, where they not only show you individual procedures, but you can taste the product at the source or buy it and take it with you. It is helpful to study a list of breweries, still houses, distilleries and mead production facilities – it can be found below in the Files to Download. High quality wines are also produced in Slovakia where vine is grown since the Roman era. The Frankovka of Rača is one of the typical west-Slovakian red wines while in the east it is advisable to taste Tokaj. Opening hours of restaurants are normally from 10.00 a.m. to 10.00 p.m. Tipping is like in other countries – its purpose is to express recognition of a well-done service.